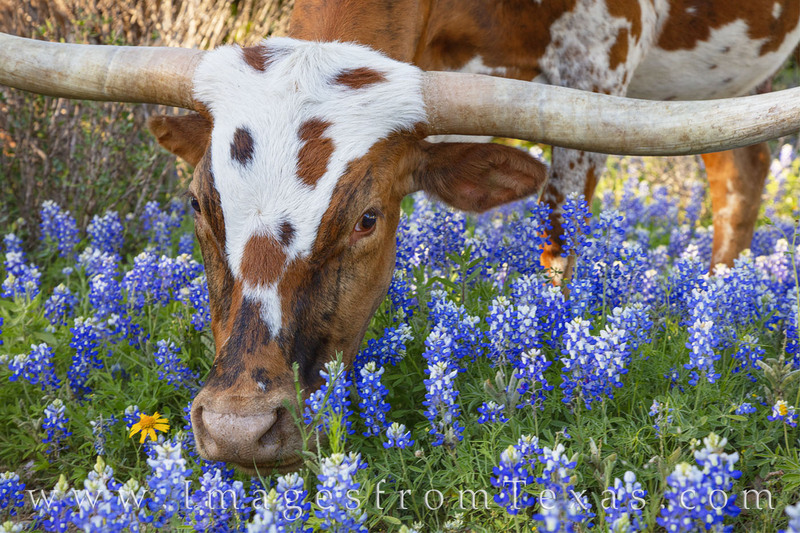 This longhorn was weeding through the bluebonnets looking for real food (grass, I think). Several longhorns scoured this field, but they did not want the bluebonnets for lunch. Instead, they foraged through the area, seemingly unconcerned with my presence. Every once in a while they’d look up to see if I was still around. ...Taken on a little dirt road somewhere in the Texas Hill Country. Photo © copyright by Rob Greebon.